Knowing my interest in quality confectionery of the past, a friend kindly let me page through two cookbooks from the early 20th century belonging to her grandmother. Excusing the kid in the candy store metaphor, I found three recipes I can’t wait to work with. Cream Candy. Also, a family recipe of mine. The surprising juxtaposition of a cooked and pulled sugar-and-cream confection that melts in your mouth in a way no other candy does. Exacting to make. Provocative in texture; with a fineness of interior. Vanilla. Maple. Peppermint. Nothing like it in the marketplace. 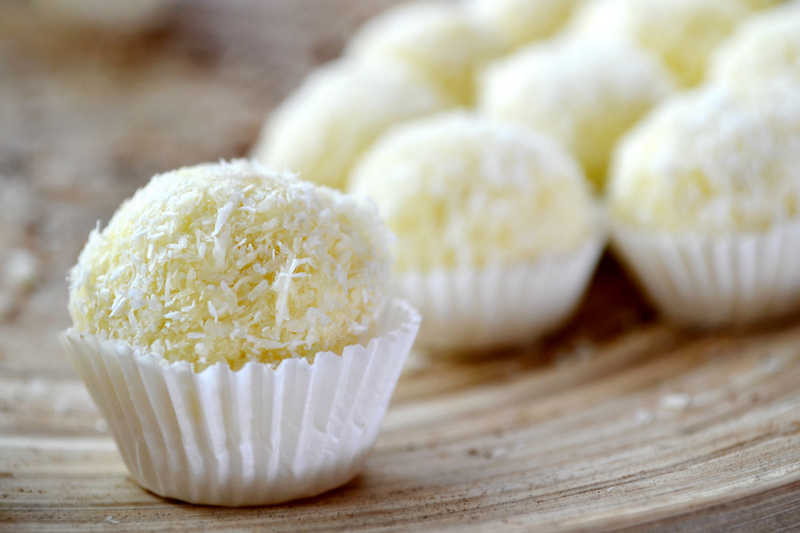 Coconut Squares, Balls. 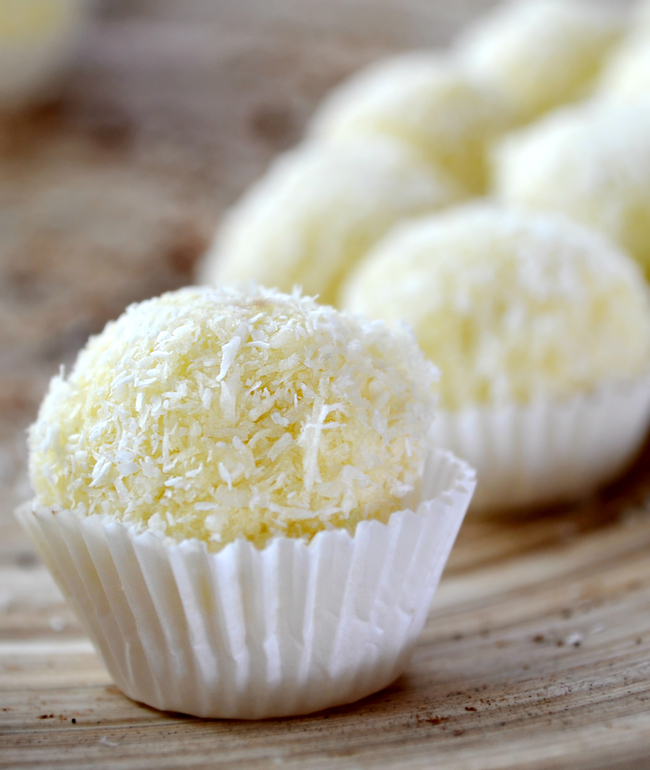 The rich, chewy substance of coconut is refined with glucose and butter. Dipped in bittersweet chocolate. Delectable. The star of a dessert tray. Opera Creams. A Cincinnati influence is at work here. History says Cincinnati Opera patrons were treated to opera creams before performances. 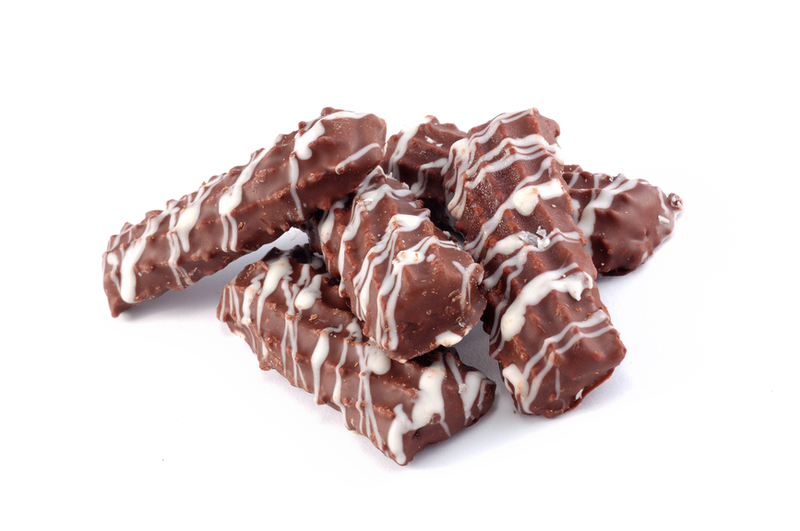 The velvety texture of soft vanilla cream is offset with dark chocolate of very high contrast and quality. It has no equal. Each is more than worth the time, effort and patience required to refine and perfect. Experimentation in itself is pleasureful… shepherding ingredients into that which they can become. Two pounds white sugar, 3/4 pint cow’s cream, boil to a soft ball; set off; add 2 ounces glucose; set on. Stir easy until it commences to boil, then pour out; let get 3/4 cold and stir it until it turns into a cream; then work into it 2 tablespoons vanilla; line a pan with waxed paper, flatten the batch in it, and mark it in squares. Set aside 2 hours to harden. A post on The Vanilla Bean blog reminded me how easy it is to let the mind wander into territory of comfort and repetition, falling away for only a few moments from the project at hand. Consequences inevitably arise. The VB author posted about losing momentary focus when baking Chocolate Pots de Creme with Lavender & Sea Salt earlier this month. It was a recipe she had made many times before and became lax when distracted by other activity. We’ve all been there. 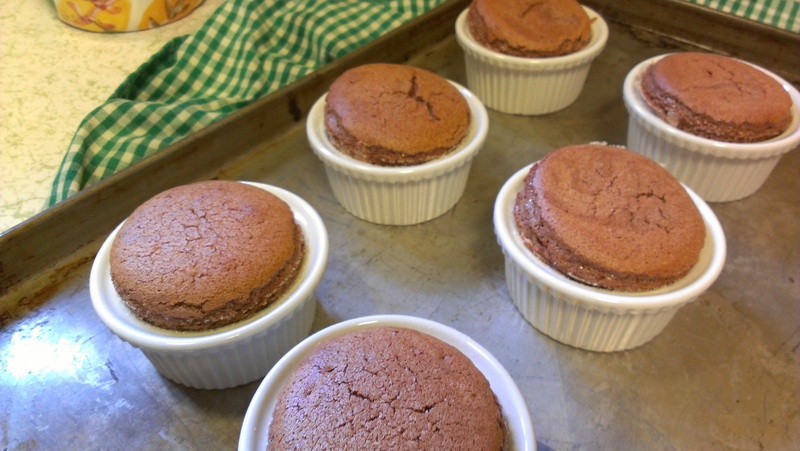 In a post a few months ago on The Essential Garden blog, I did a best-guess estimate on cooking time for Chocolate Souffle as I only had 3 oz ramekins and not the 8 oz souffle dishes called for in Robert Parks’ recipe that was posted on the Food Network blog. Although experimentation is frequently necessary, it’s always a roll of the dice to alter cooking time. The end result was a bit of “fall” when the souffles cooled. Perhaps a few extra moments of attention in each stage of the recipe (including the baking) might have provided a different result. The truth is that I know instinctively when I’ve glossed over a step in favor of speed or distraction. What I’ve come to realize is that mise en place isn’t just about assembling the requisite utensils and ingredients before starting to cook. It’s really dedication to a lifestyle that gives weight to being fully present for each activity in our lives, including the prep, execution and completion of cooking. I wouldn’t want to miss a moment of it. 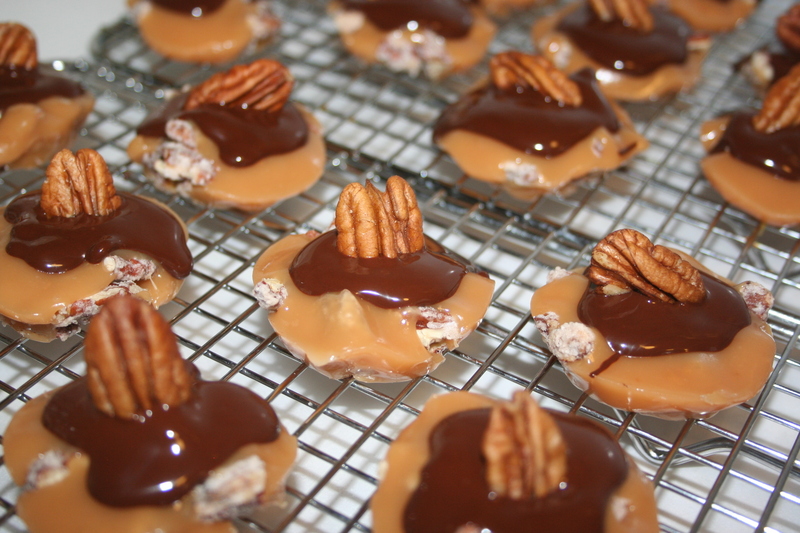 Older confection recipes that are either non-standardized or have the ability to be recast interest me. Chocolate shortbread is one such recipe. Simple, elegant; dressed up, dressed down, it has a graceful foundation and future possibility as both its simple self and as a component for more sophisticated creations. Elegance is obvious in its succulent mouth feel, a consequence of an extremely high percentage of butter. Shortbread has a relatively low overall percentage of sugar. The recipe I use was published in The Pleasures of Cooking, the Cuisinart mag that celebrated the company’s inception in 1983 or 1984. 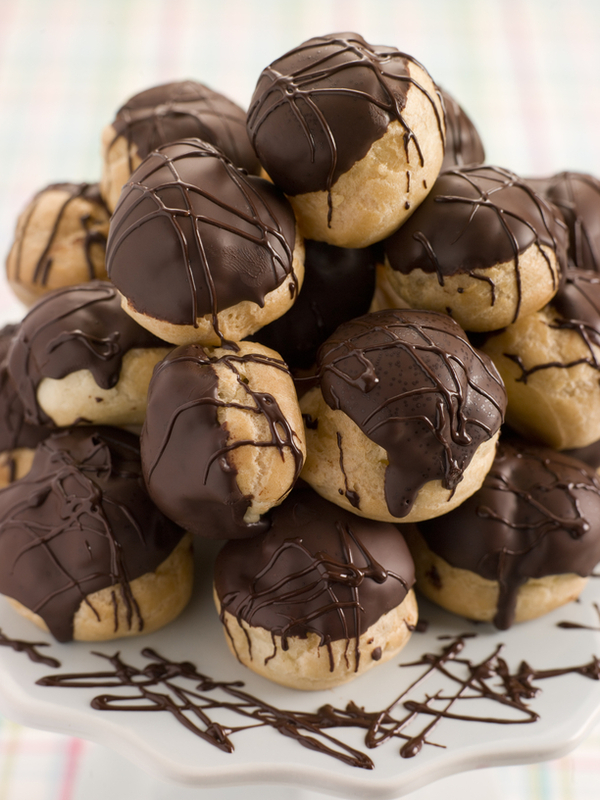 An Epicurious.com recipe includes vanilla and uses Dutch-process cocoa powder instead of the semi- or bittersweet chocolate in the The Pleasures recipe. Process 3 oz semi- or bittersweet (62-70% cacao) baking chocolate and 1/2 C superfine sugar in the Cuisinart using the metal blade, turning the machine on and off just until the chocolate is coarsely chopped. Let the processor run for 60 seconds or until the mixture is very fine. Add 1 C (2 sticks) unsalted butter cut into small pieces; process until creamy, scraping the bowl as necessary. Add 2 C all-purpose flour, scraping down as necessary until well mixed. 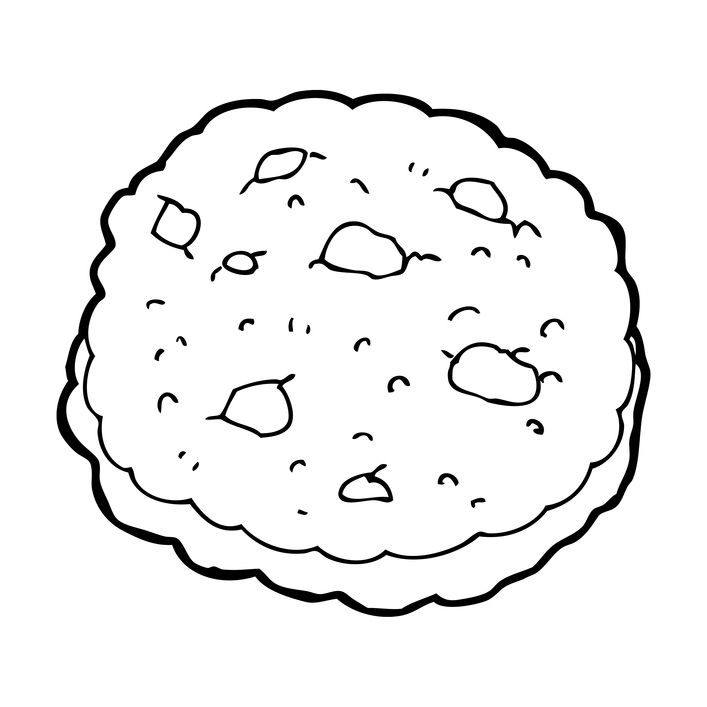 Dough will form a soft ball. Pat dough evenly into a buttered 13×9 pan. 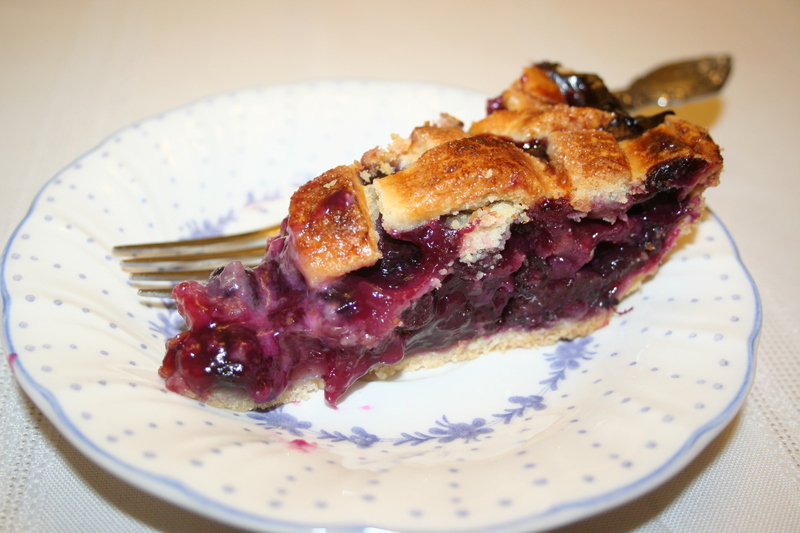 Bake at 300 degrees F for 35-40 minutes, or until the center is firm. 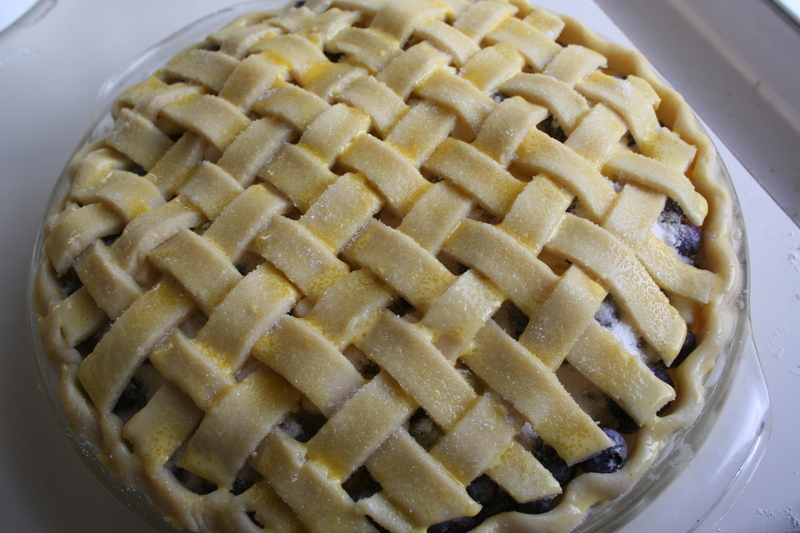 Cool in pan on a wire rack for 10 min, then cut into squares; allow it to remain in the pan to cool completely. Each square may be decorated with a butter cream frosting rosette, if desired. Butter cream frosting: Process 3 Tbsp unsalted butter at room temp, 1 C confectioners sugar and 1-2 Tbsp heavy cream in food processor. Pipe onto chocolate shortbread with pastry bag with star tip to form rosettes. It will be fun to experiment with both recipes to compare depth of chocolate flavor before deciding which to use as a component of future recipes.